With every project, Retta Leritz combines an approachable sensibility with her refined aesthetic vision yielding exceptional results. She is a BFA graduate of Miami University’s department of architecture & interior design and has a background in illustration and product development. Retta has experience in both commercial and residential design, as well as soft and case good development. She has been featured in numerous publications and received several awards for her interior design and products. In 2017, Retta joined Castle Design full time. 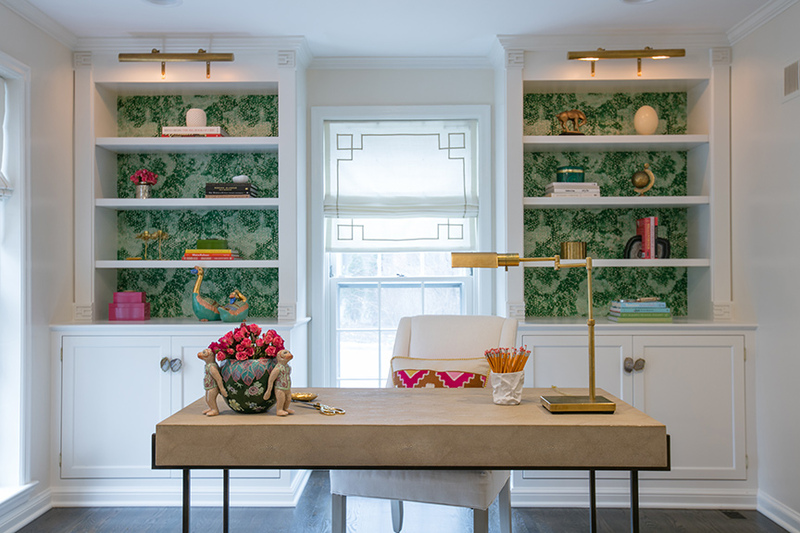 When she isn’t designing interiors, she is engrained in the community through her involvement with St. Louis Ballet, the St. Louis Art Museum and St. Louis Children’s Hospital. Retta brings a unique, multifaceted approach to her creations through her keen talent for color and proportion. Retta: On the first day of my first internship in New York just about anything and everything that could go wrong did, from failed tasks to missed trains. That evening, I spoke with my parents who questioned whether I wanted to return home, as I was a mess of tears. I exclaimed that while difficult, I loved every minute. That day is still a constant reminder that sometimes the path I take will be challenging, but if I continue to do something about which I am passionate, that spirit will prevail. Retta: In 2003, on a whim I created a stationery company that quickly grew to a national best seller, celebrated in some of the biggest media publications. I was green to the process, essentially figuring things out as I went. It proved to me – and continues to remind me – that anything is possible as long as I put in the effort and believe in product, the project and myself. Retta: As cliché as it may be, I believe success boils down to a great work ethic and individual thinking. I am passionate about my work and thinking beyond trends, but also about the service and dedication I give to my clients. Retta: St. Louis is lucky to have world-renowned, creative institutions, including our Saint Louis Art Museum, which is undeniably my favorite spot in town. From the numerous masterpieces to the smell of the galleries, I love every inch. I try to escape there every now and again to find inspiration and remind myself of the talents that exist.